If you are someone who is comfortable wearing dentures, you may be wondering what the benefits of dental implants are, especially if you are someone who has never had dental implants before. Dr. Mark C. McCauley of McCauley Dental is pleased to offer dental implants to all of his patients and is always happy to answer any questions about the advantages of dental implants to put your mind at ease before you undergo the procedure. It is the next best thing to having your real teeth. One of the most noticeable advantages of dental implants is that they look, feel, and behave like your real teeth. Unlike dentures – which look, and at times feel, uncomfortable – dental implants are custom fit for your mouth and behave like your real teeth. It’s a long-term solution. 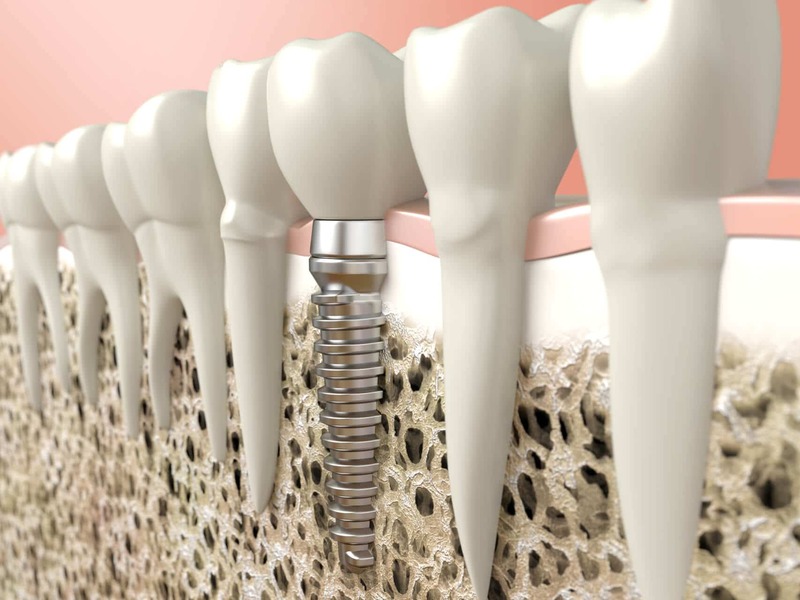 Another one of the many benefits of dental implants is that they are a long-term solution. Dentures, while a good idea on the surface, are meant to be a short-term solution, because, over time, they can compromise the integrity of your mouth, and they wear away. Dental Implants are strong, and thus, built to last in your mouth for decades (and, if you have good oral hygiene, they will last for the rest of your life). It protects your bones. Another one of the many benefits of dental implants that most people don’t consider is that having a gap in your mouth can lead to a series of problems – most notably, the deterioration of your jawbone. And this is true even if you wear dentures – remember, as was mentioned earlier, dentures were only meant to be a short-term solution, and long-term wear of dentures can cause your jawbone to suffer. Dental implants help retain your mouth’s natural shape and integrity, which will contribute positively to your overall oral health. These are just a few of the many benefits of dental implants, and at McCauley Dental, we are pleased to offer you dental implants of all kinds. For more information about our variety of dental services, and how you, too, can experience the benefits of dental implants, contact us today and let’s see what we can do for you!